By Chad Gines, field expert for Enjoy Utah! Thanks to Mike with Strangling Brothers for the chance to review one of the spookiest haunted houses we have ever experienced! 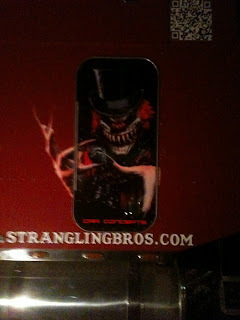 Last Friday night, Strangling Brothers Haunted Circus let us into their world of haunted trailers. I still have not recovered from the horror I experienced that night! 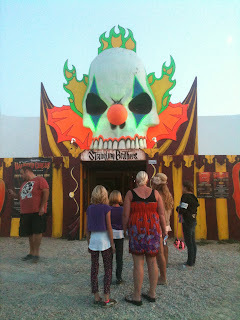 At first sight, I noticed the large white tent and crazy clown whose mouth you must go through to enter. While inside the main tent, they have Odyssey Dance Company dressed up as zombies dancing to Thriller and many disturbing looking clowns to entertain you. Once inside the trailers, they transported us into an evil world that would terrify even the most seasoned horror fans. We experienced everything from evil clowns, demented doctors, mutants, psycho children, zombies, giants, spiders, ghosts, skeletons, wolves, lost souls, to freak show accidents. As we slowly walked from trailer to trailer they kept the excitement going by setting up props in the pathway to the next trailer. One transition between trailers was a graveyard with the living dead wandering around; another was a crash scene of a two-story bus. Every time we escaped the haunts in one trailer I would get a feeling of relief until I realized the trailer we just went into was worse than the one we had left behind. I enjoyed the setup of this place. It is set up in a way that you continuously question if you have wandered out of the actual haunted house and into a place that you should not be. When Jen and I reached the end we thought for sure we were in a place that was not open to public and it scared us beyond belief. We started running out to find the “correct” path and got so startled when a certain thing came at us that I fell into Jen so hard that she got bruises on her side. I thought for a split second we were actually going to die. I LOVED IT! While we were inside the trailers, we only saw two other groups of people. In one of the groups was a girl who was so terrified that she just sat down crying and the workers had to show her the way out. The other group was a small family of three. The daughter was so terrified her dad was carrying her and the mom was screaming at her husband that she was so horrified she was going to pee her pants. I was amazed at how well this haunt was put together. I greatly recommend going to this haunted house this Halloween season. Just make sure you take someone you feel safe with and empty your bladder before entering to prevent having it scared out of you! 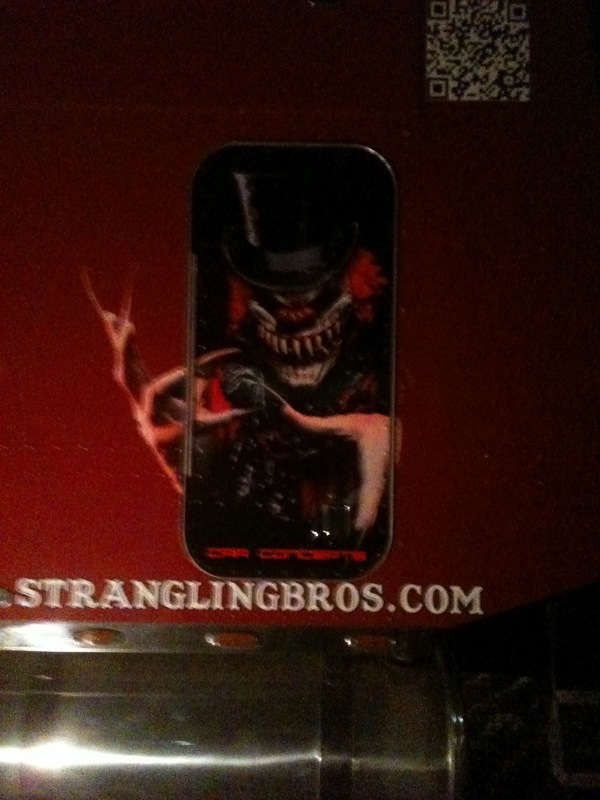 Even though Enjoy Utah was provided two complimentary tickets to check out Strangling Bros. 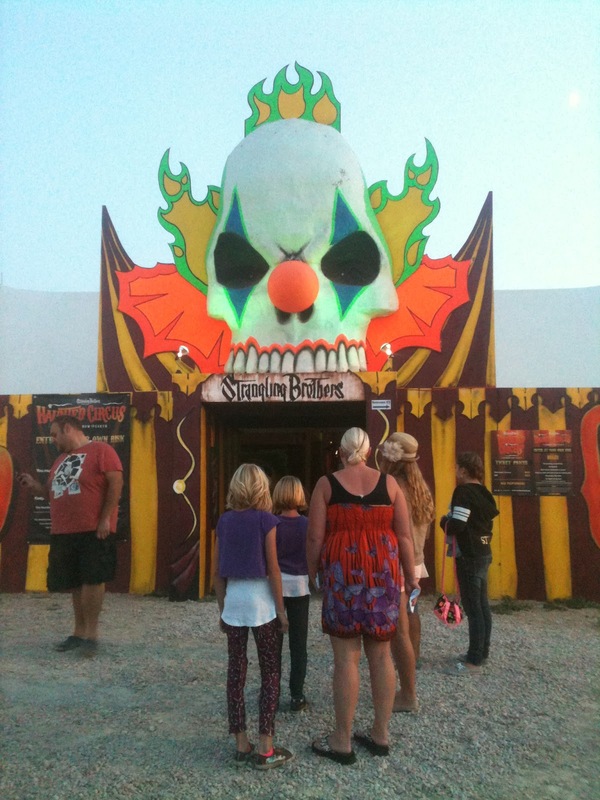 Haunted Circus, we were not compensated for our review, and the opinions and views expressed are all our own. We were not persuaded to write any certain type of review.